Alexandre Dumas was a writer of adventure novels best known for his work ‘The Count of Monte Cristo’. This biography of Alexandre Dumas provides detailed information about his childhood, life, achievements, works & timeline. 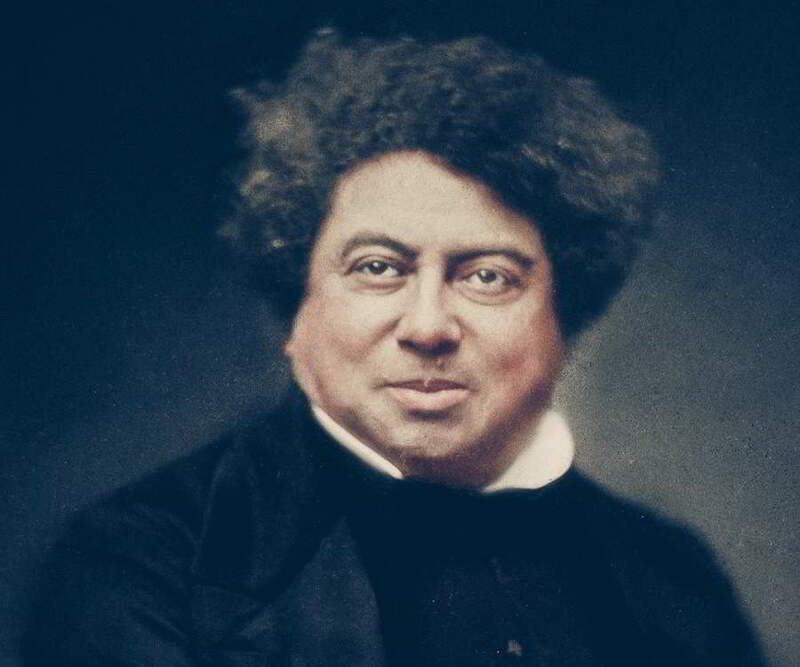 Alexandre Dumas, the legendary writer of historical and adventure novels is one of the most widely read French authors of all time. Born as Dumas Davy de la Pailleterie, the prolific author began his career as a playwright producing several successful plays before moving on to write novels. He has also written several essays, articles and travel books. The son of a French Army General, he grew up hearing stories of his father’s bravery in the wars which kindled in him a profound interest in historical events. 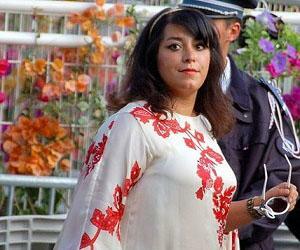 His father died when Alexandre was just four years of age. This caused great financial distress to his mother, who could not provide for her son’s education. The would-be author had an innate love for the words and read whatever books he could lay his hands on; he even taught himself Spanish through self-education. 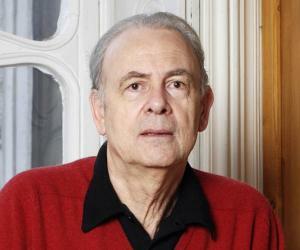 He began his writing career by penning down articles, essays and plays. The success of his plays motivated him to write novels, which he published first in a serialized format in newspapers. 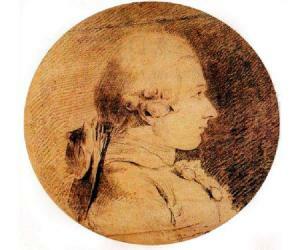 In collaboration with other writers, the most notable of whom was Auguste Maquet, he produced several works of fiction which made him immensely popular. His works have been translated into nearly 100 languages and adapted into over 200 films — a fact which makes him one of the best loved authors of the 19th century. Alexandre Dumas was the son of Marie-Louise and Thomas-Alexandre Dumas, a French Army General who served in the French Revolutionary Wars. He had one sister. His father died of cancer when Alexandre was only four years old, and his mother could not afford to send him to an elite school for education. However, the boy was a voracious reader who read whatever books were available to him. He had a great sense of imagination which was further fuelled by the stories his mother told of his father’s bravery during the French Wars. He was appointed at the Palais Royal in the office of Loius-Philippe in 1822 owing to his late father’s distinguished reputation. During this time he also began writing articles and plays. His first play ‘Henry III and His Courts’ was produced in 1829. The play was a success and so was his next play ‘Christine’, produced the following year. The commercial success of his plays motivated him to explore other writing genres. During the 1830s, newspaper serials were gaining in popularity and he rewrote one of his plays as a serial novel - ‘Captain Pamphile’ in 1838. He collaborated with some of his friends in 1839 to compile ‘Celebrated Crimes’, a collection of essays on famous crimes and criminals from European history which was published in eight volumes. The final of these volumes was out in 1841. In 1840, he published the novel ‘The Fencing Master’ with the help of his fencing master Augustin Grisier. The novel was banned in Russia due to its reference to the Decembrist revolt in Russia. Dumas often collaborated with other writers while working on his novels. The most famous of his collaborators was the playwright Auguste Maquet with whom he wrote the highly popular ‘The Three Musketeers’ in 1844. His best-known work, ‘The Count of Monte Cristo’ was completed in 1844. The story covers the historical events that took place in Europe during the time period of 1815-1838. It was a historical piece of work that deals with the themes of justice, hope, mercy and forgiveness. Two sequels to ‘The Three Musketeers’ were published: ‘Twenty Years After’ in 1845 and ‘Ten Years Later’ which was serialized from 1847 to 1850. He became very popular as a writer and earned immense fortune. However, he lived a lavish lifestyle and often found himself insolvent. He was a widely traveled man who had visited numerous places like Spain, England, the Netherlands, Germany, and North Africa. He wrote of his experiences in his travel memoirs, the most popular of which were ‘A Year in Florence’ (1841), ‘From Paris to Cadiz’ (1847) and ‘Travel Impressions: In Russia’ (1860). His most famous work is ‘The Count of Monte Cristo’, an adventure novel that unfolds in the 19th century and covers the historical events that happened in France, Italy and Mediterranean Islands. The book is considered a literary classic. ‘The Three Musketeers’ is another one of his very popular works which revolves around the adventures of a young man named d’Artagnan and his three friends. The story has been adapted into several plays, films, television series, and videogames. Dumas married the actress Ida Ferrier in 1840. This famous writer was well-known for his romantic liaisons with several other women which resulted in the birth of at least four illegitimate children. 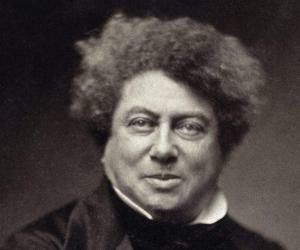 His son Alexandre Dumas, fils, was also a famous writer. 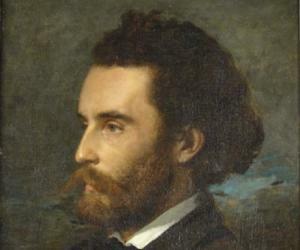 In spite of being a highly successful writer who earned good money during his peak, Dumas wasted away all his wealth on an extravagant lifestyle. He died in poverty in 1870. This famous writer was of mixed ancestry; his grandmother was a black slave woman. He was notorious for his womanizing ways and was known to have around 40 mistresses.